On the luxury end, Japan saw two new sleeper trains debut in 2017 with private outdoor balconies, skylit claw foot tubs and kaiseki meals. Around the same time, Belmond, formerly Orient-Express Hotels, added new sleeper trains in Peru and Ireland to its fleet. There are luxury sleepers from Russia to Paris, along the Silk Road in Iran and Kazakhstan, across Africa, throughout India, across Switzerland’s glaciers, and in New Zealand, Norway and Romania. In Europe alone, several new affordable options have materialized too, running more utilitarian services (no guided excursions, just overnight schedules). In 2017, the United Kingdom’s Great Western Railway (GWR) relaunched the Night Riviera, traveling between London and Cornwall, one of England’s sunniest corners. Also in 2017, Italy’s Trenitalia-owned Thello debuted new sleeper cars with en suite showers on their Paris to Venice route. 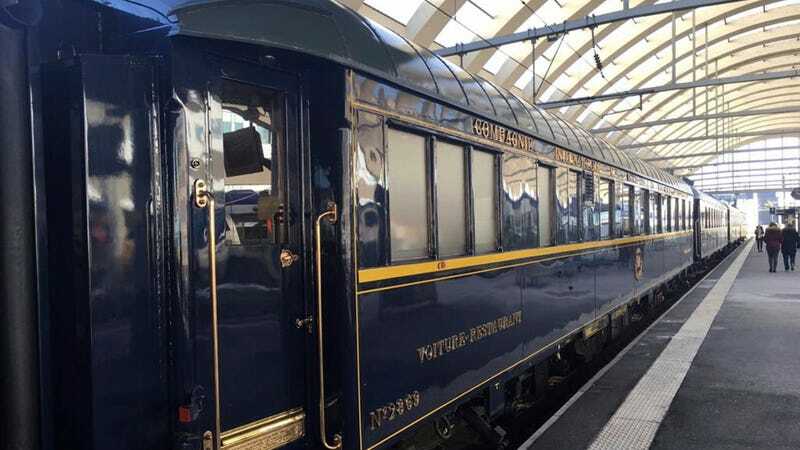 And in June 2019, Scotland’s Caledonian Sleeper will debut highly anticipated new cars with routes from London to Glasgow and Edinburgh and Highlander routes to Aberdeen, Inverness and Fort William with en suite showers, double beds and plenty of whiskeys in the bar car. I will absolutely be taking a night train to Penzance at my earliest convenience, thanks very much. Perhaps there will be romance! Perhaps there will be intrigue! As long as there’s snacks.